Even though I know all these retro consoles are largely an effort turn my nostalgia into big-time corporate profits, they’re damn hard to resist. There’s just something about gray plastic and the old school boot up sound that hits a deep part of my brain as few things do, so when I heard Sony was making a retro revival of the original PlayStation, I thought “Great, another mini console to add to the collection.” But after getting to check out Sony’s take on a throwback gaming machine, I feel a bit shortchanged. Also, as a nice bonus, since the controllers use cords with standard USB Type-A connectors, you can plug them into a PC—where they show up as generic controllers—and then easily configure them for use in Steam via Big Picture mode. 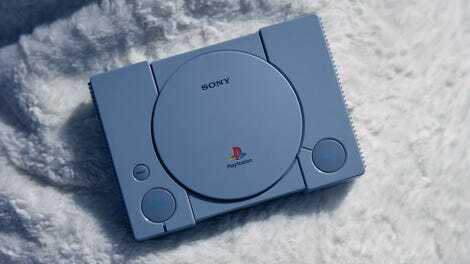 So at the very least, the PlayStation Classic’s controllers could see extra lives when used to play other retro games on PC. OK, now back to the system’s bundled games. (For a full list, scroll to the bottom or click here.) For the kind of library the PSX has, the PS Classic’s choice of games is pretty disappointing. The only way it makes sense to me is that Sony is treating this thing as a PlayStation origin story instead of a greatest hits collection (Or, you know, it couldn’t secure the rights to better titles). While you do get some gems like Tekken 3 and Metal Gear Solid (which totally hold up), there’s no Castlevania: Symphony of the Night, Tomb Raider, or Crash Bandicoot to be found. Instead, you get titles such as Intelligent Qube and Jumping Flash which speak to the awkward birth of 3D graphics but don’t quite hold your attention in 2018. Still, thanks to the PS Classic, I was able to instill a new love for Mr. Driller in my girlfriend, and I am thankful for having a decent way to replay Wild Arms. But where’s Suikoden (I’d take either one), Tony Hawk’s Pro Skater (again, you can’t go wrong with 1 or 2), my boy Parappa or Silent Hill? Seriously, why Destruction Derby and not Gran Turismo 2? 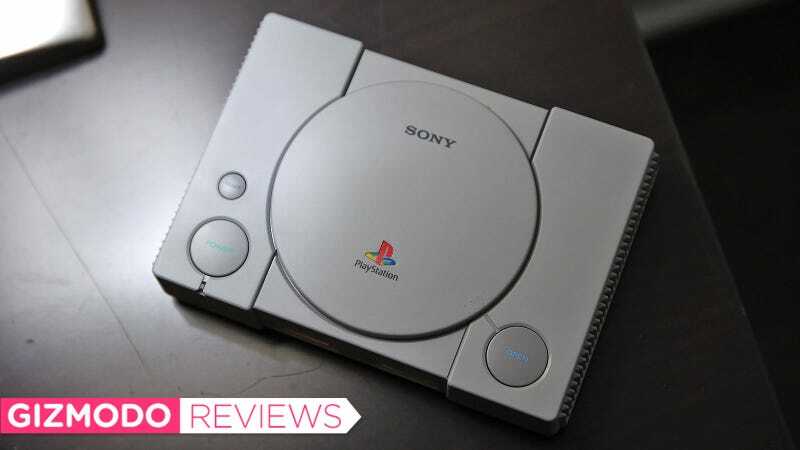 But if you step back a bit, between the PlayStation Classic’s general lack of extras, minimal save state functionality, and missing power brick, it’s hard to view Sony’s retro console as much more than a minimum effort to capture some old-school gaming nostalgia. Sure, $100 isn’t that much compared to modern consoles, but I still think the PSX deserves better than this.